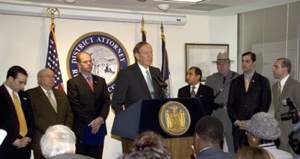 Prem Rawat has received a letter of commendation from the governor of the State of New York for his efforts in bringing a message of peace to people around the world for four decades. "You are recognized for your commitment to building a better world , one strengthened by greater unity and understanding within our society. This is the valuable purpose to which you have dedicated your own life and well expressed by the meaningful words you have conveyed to audiences worldwide.